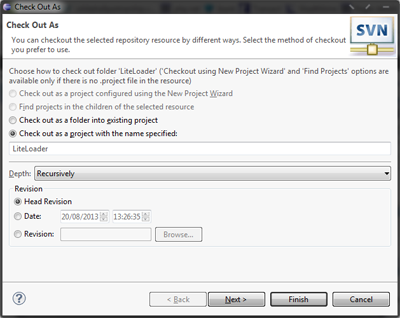 Now that you have Eclipse and MCP installed, you can fetch the LiteLoader projects from the SVN repository. 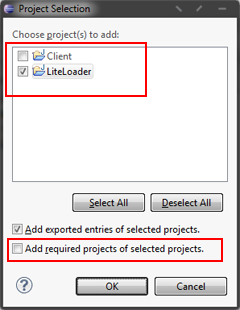 * Click “Finish” to accept the defaults and import the project. 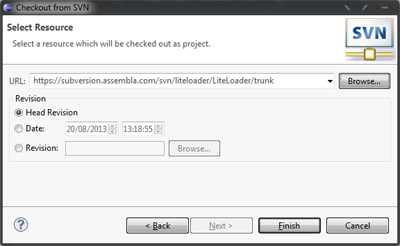 The LiteLoader project is now imported, and you can add them to your Run Configuration. 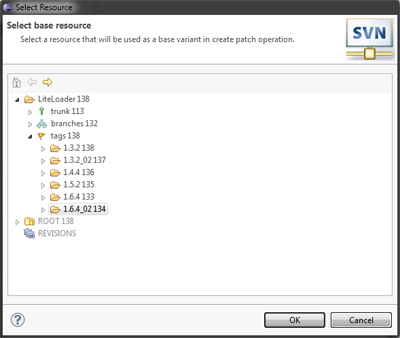 Importing the project from the SVN does not actually cause it to run when you run the game inside Eclipse. 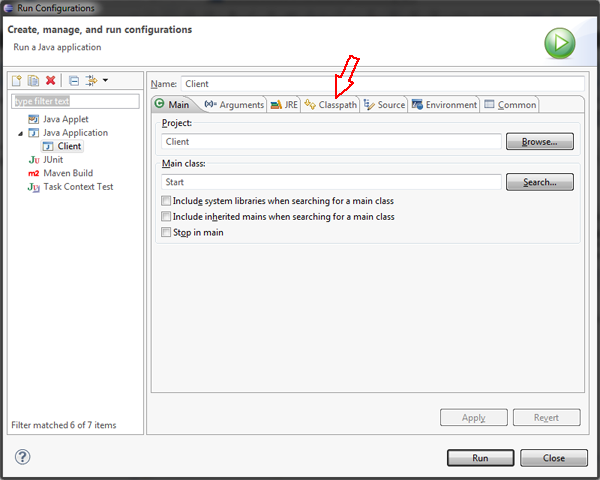 To include the new projects you must add them to the class path of the Run Configuration for Client. 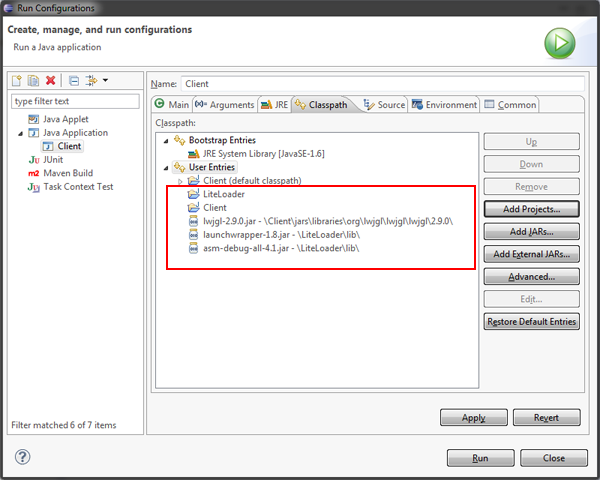 Your workspace is now ready to add your mod projects.